I’m going to have to apologize, I will be skipping some of my adventure because of a technical malfunction. I feel like I can’t leave the country without some piece of technology going wrong. Before my first week in Mexico had finished my adapter decided to die on me, aka no computer. Yes it’s possible to get another charger but it would take about 7 days to ship it and this give me an opportunity to spend more time away from the computer and outside…. I guess… (computer withdrawal symptoms will set in soon). I had my last blog post written up and I really liked it so till I get a charger which will be in about 4 weeks when I get back to the US, that post will not be uploaded. The only really important thing to note would be that my class is kind of cool, we’re learning about the history and culture of Mexico and I find it interesting so you will get to learn too, YAY! Yesterday I wouldn’t have had a chance to touch my computer, yes we’re going back to my computer…. 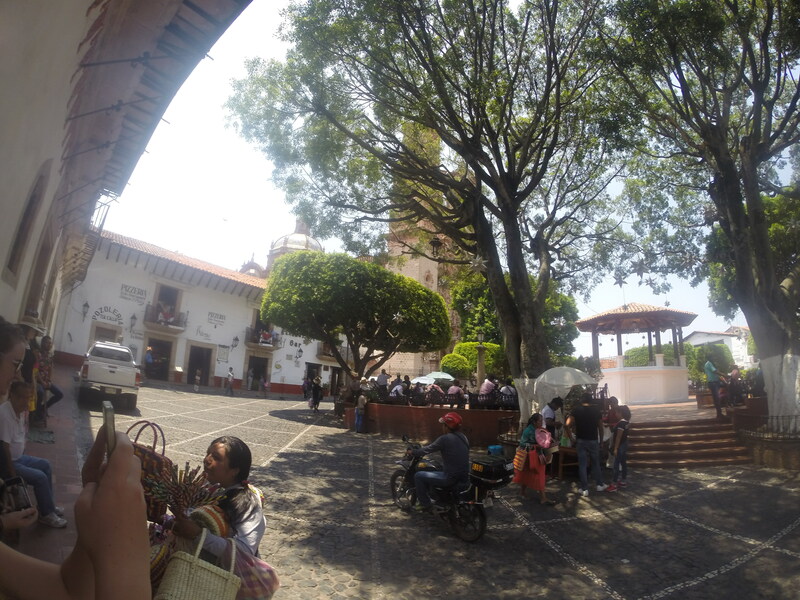 I’m still sad, because I went to the wonderful City of Taxco. 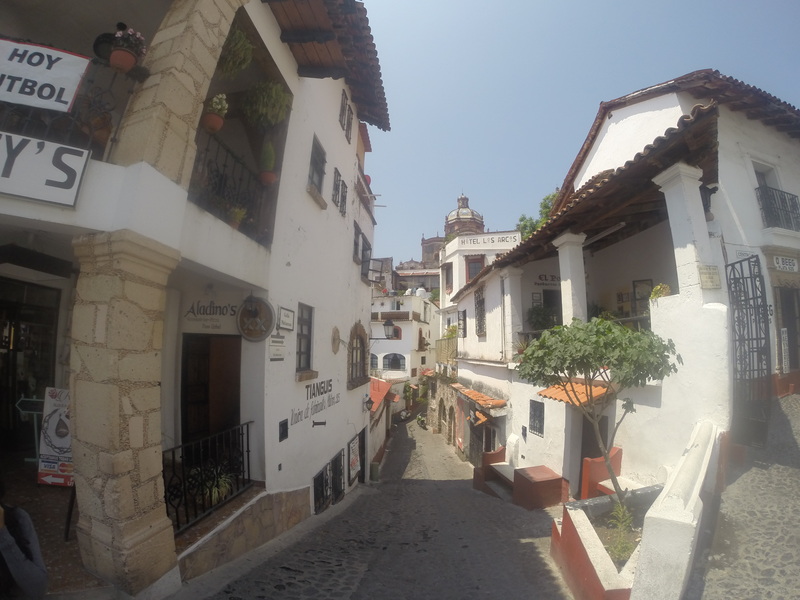 Taxco is famous for it silver, so I really wanted to go there because I like making jewelry and I want to take more classes on metal working and fun things like that. Unfortunately for a one day trip doesn’t give you much time to learn the secrets of Mexican metal working, but it does give me time to check out the art. I found out that Mexican time is very similar to Argentine time AKA everything is late. So we were supposed to get at the bus stop to leave at 6 a.m. And of course the bus was late because the bus company thought we were leaving the next day, which wasn’t the case. 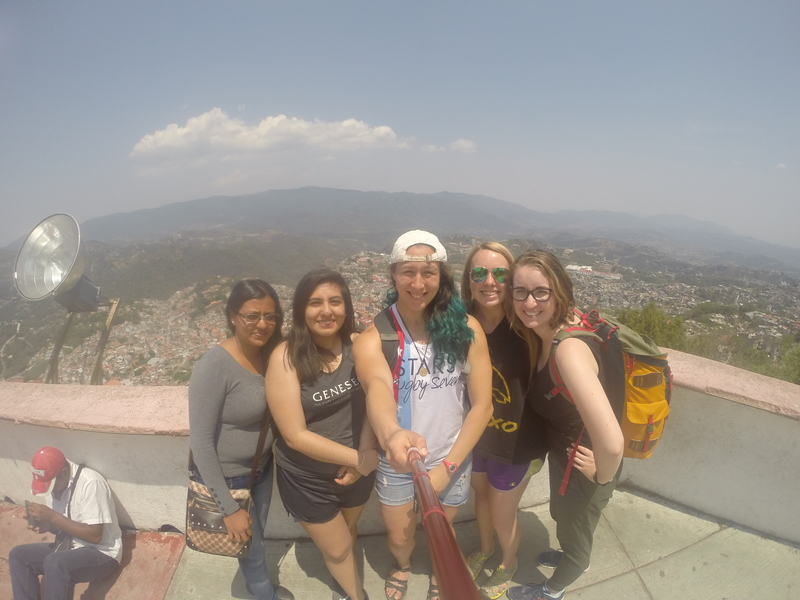 So after a long bus ride and a slightly cranky me, we arrived in Taxco. 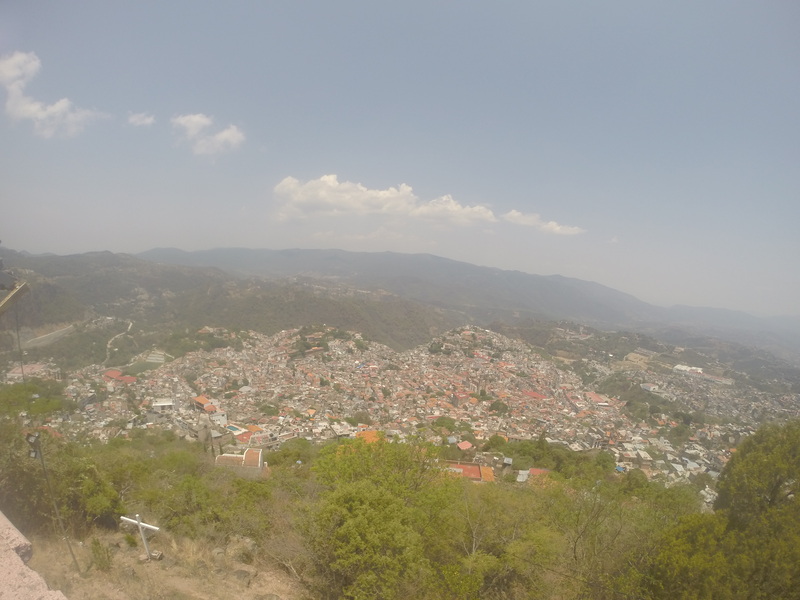 Not really sure what to do, we started climbing up the city, leg workout for the day, and encountered a lot of silver stores, which of course we had to check out (5 girls, one jewelry city – we all know what that means). The first place we stopped at was actually a mine and a store filled with a bunch of different vendors. There were some cool things there but it seemed a bit touristy and not the kind of silver art I was looking for, but I was able to pick up a few things for a couple people (hi mom). So we kept climbing up the city because we saw at the top there was a church from which you could probably see the whole city. When we were about halfway up, I saw one place that looks like it might have more the jewelry I’m interested in, we stopped there and I saw some really cool pieces. The guy who I ended up talking to the most with telling me that I could visit his workshop one day. 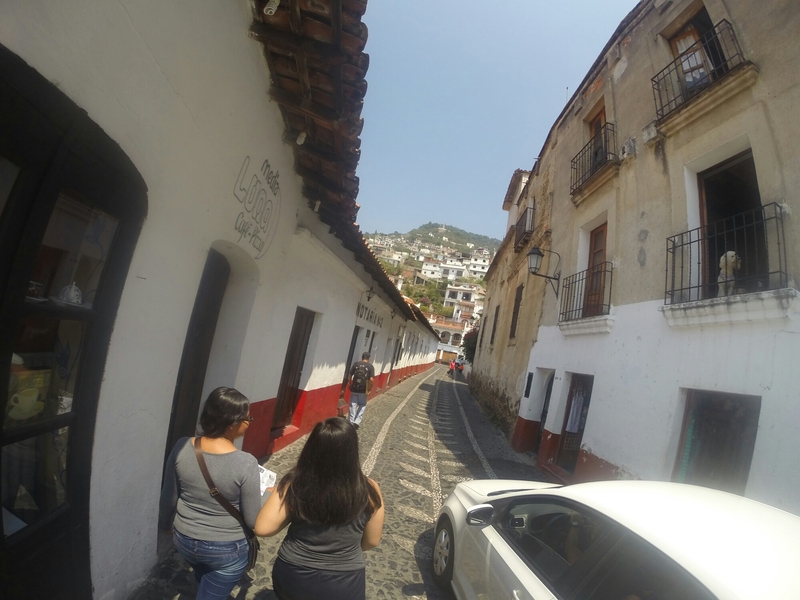 Damn only visiting Taxco for one day. But I also told him I’d be interested in coming back and doing a month long metal/silver working class. He told me to email him and he would put me in contact with some of his friends that teach workshops. 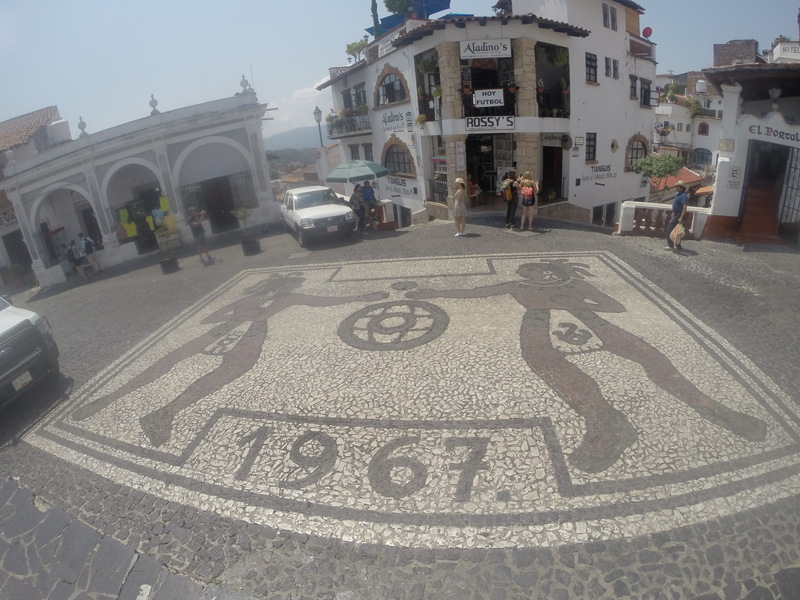 Guess I’m going back to Taxco :). Finally we got to the top of the city where the church is that we could see from when we got off the bus. Again at church. 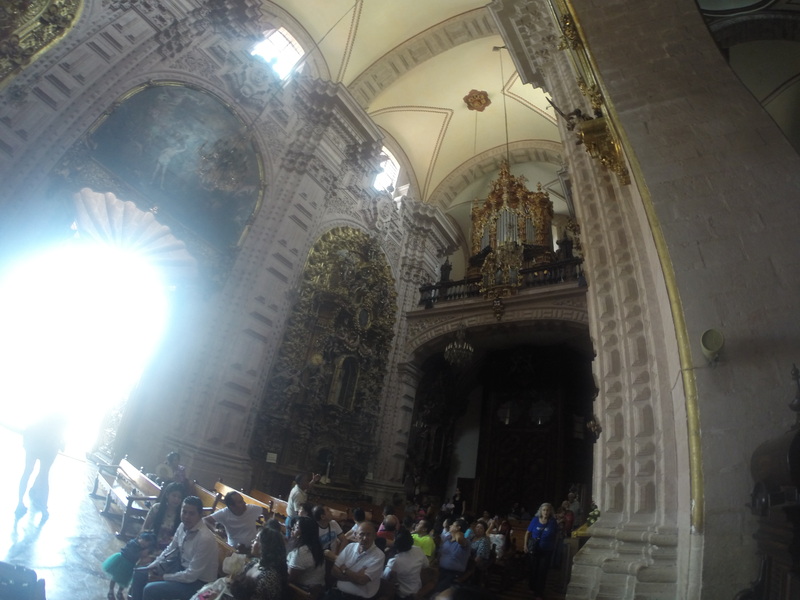 It was ostentatious and from what I could hear from a tour group that was passing us it took thousands of kilos (or some form of measurement) of gold to construct the church. That is ridiculous. 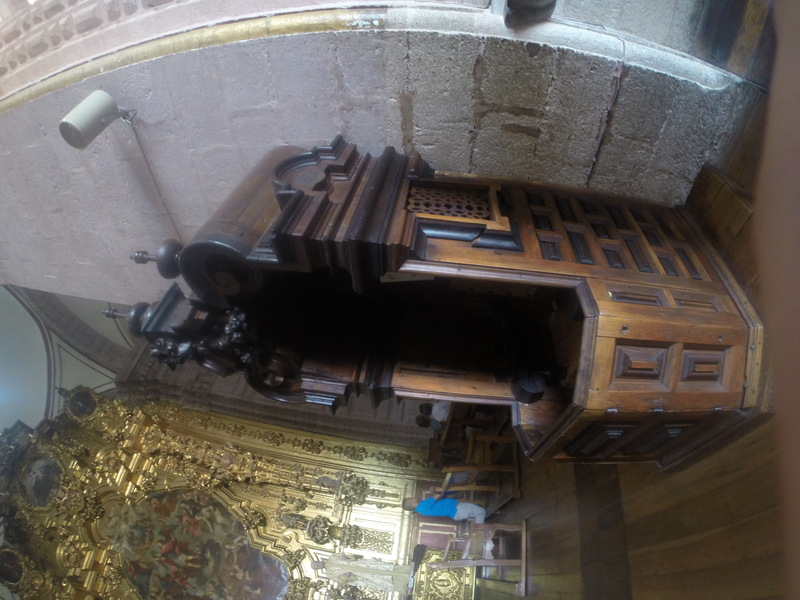 The confessional chair was different than what it’s portrayed as in the movies. Instead of being in a closed off room where nobody can see you and nobody can see the Pope or whoever you are confessing to, the pope or whoever sits in a chair and you go up to the window on either side of the chair and do your confession. I like the idea of being in a closed-off room better personally, I mean if I really did something that I would want to confess about, I wouldn’t want other people seeing me confess. 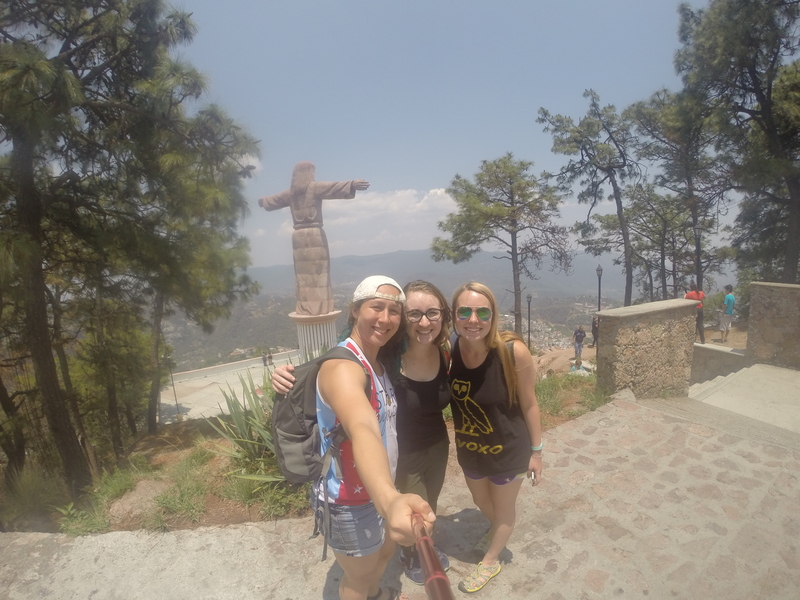 The group that we went with said that we should see el Cristo, so with help from a local guide person, we got a taxi and we went to el Cristo. 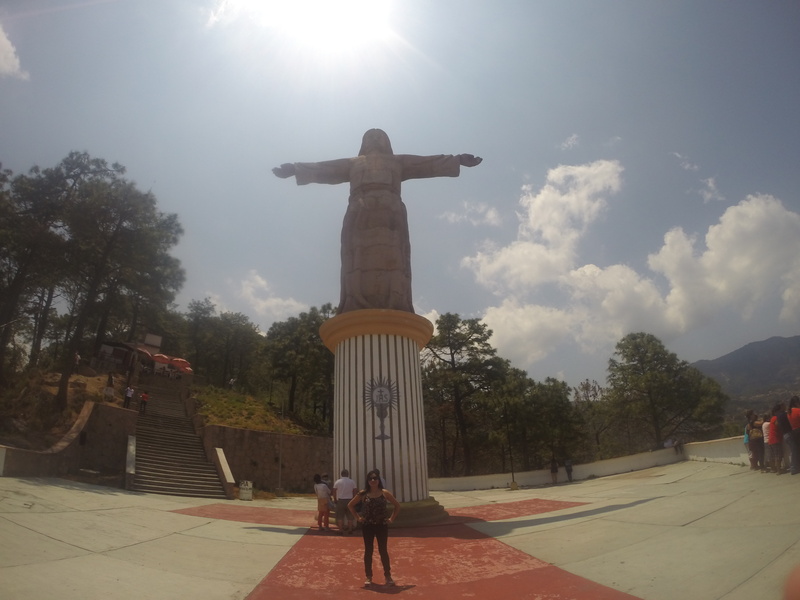 So apparently el Cristo is the very high point where they put the giant statute of Jesus that is found everywhere in Latin America, most famously Brazil. It was a really nice view, there was a nice breeze and it was cooler up there which was really nice because we were sweating our asses off. With a little more time to go before we had to meet up with our group, we decided to go visit the house of Hernando Cortez. 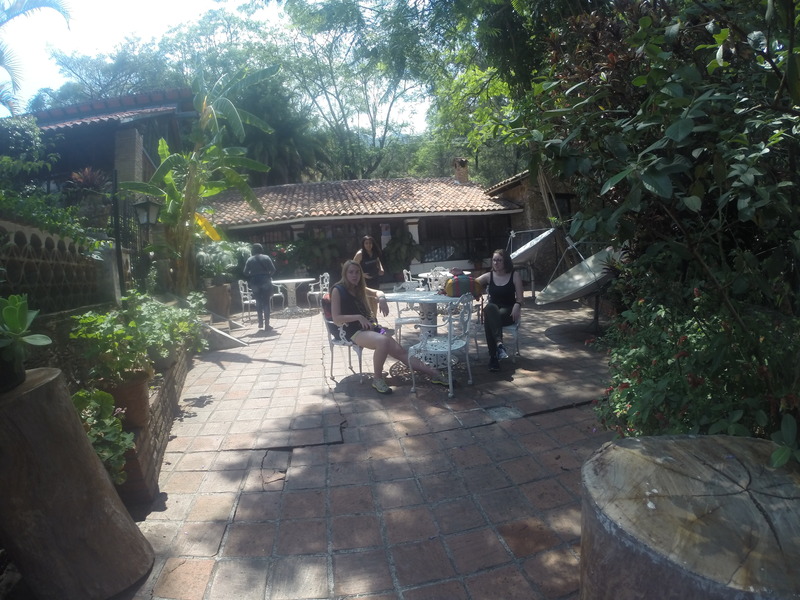 Apparently they changed his house into a university called UNAM and we couldn’t get inside any buildings, but damn he had a nice place. And then there were no tax season we had no idea where we were. So we begin walking down the street which by the way cobblestone kind of difficult to walk on. When we finally encountered a taxi, we gave them the name of a hotel, Montetaxeo. That wasn’t actually where we wanted to go, oops. But damn it was pretty at had a cable car that you do go up and down, but have a group of scared of heights and we were running low on time. This time we gave the right address and made it back to the meeting point. To Ponzas Azules we went… after an hour bus ride. Also since we were swimming and there wasn’t really a changing place Pizzas Azules, we had to change in the back of the bus, in the bathroom, while it was moving. Let me tell you, it is neither easy nor comfortable to change out of your clothes into a bathing suit in a moving bus transversing cobblestone, hilly roads. Walking from the bus to the water was really cool it felt like we were in the jungle. 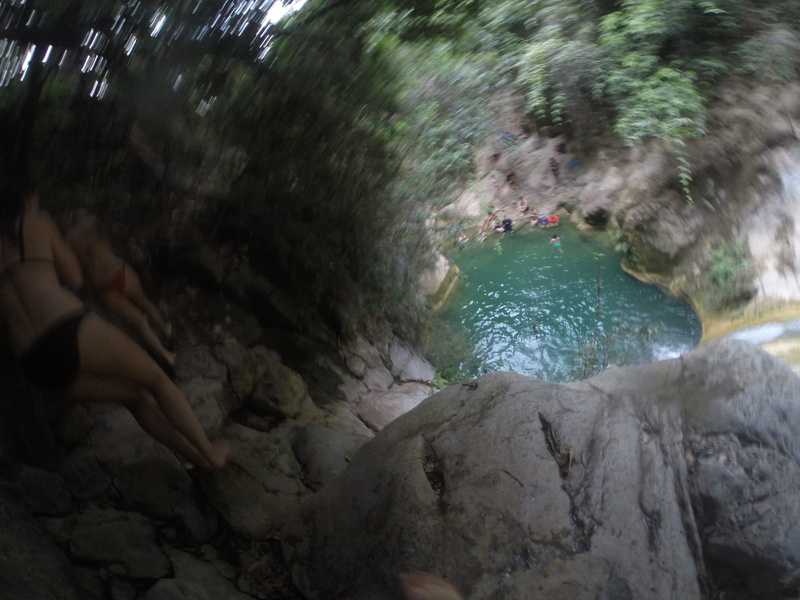 The first thing we saw there was a natural water slide, hell the f*** yes. Of course I went down it immediately and the water, even better, was freezing cold, well not freezing but I really don’t like cold water, even when I’ve been walking in the heat under the blazing son the whole day. A couple of us went up ahead to explore more of the waterfalls. 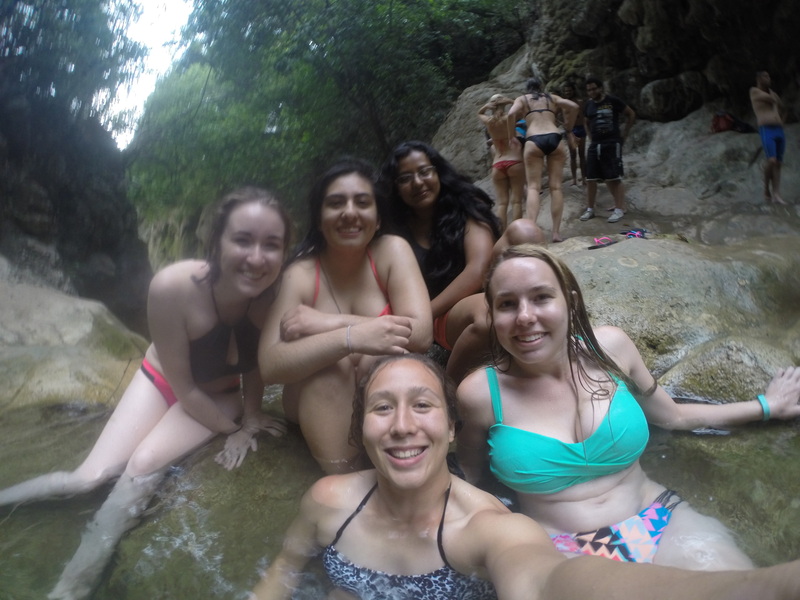 There was another waterfall on a rock but definitely was Tuesday to be a slide. 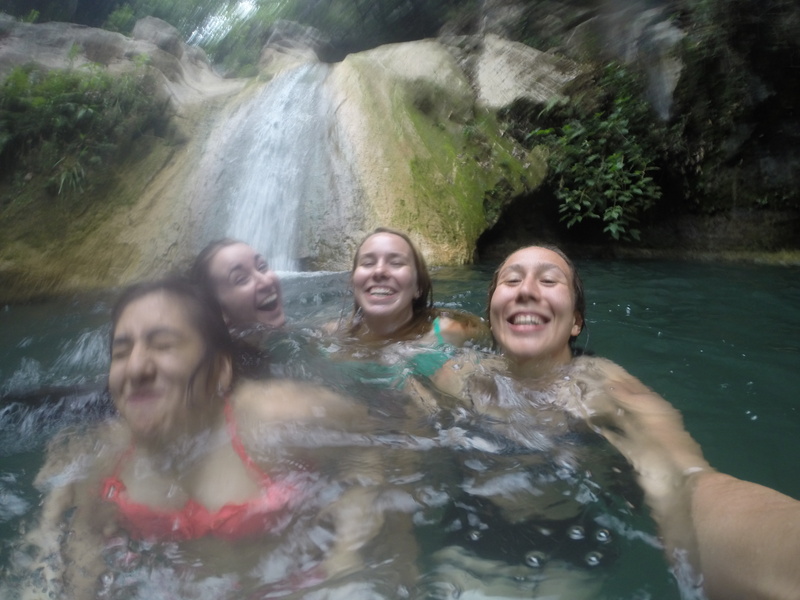 However the guy who’s in charge of our trip, ice while though, said that we could get closer to the waterfalls. So I and some other people followed him around the water, climbing up the rocks. 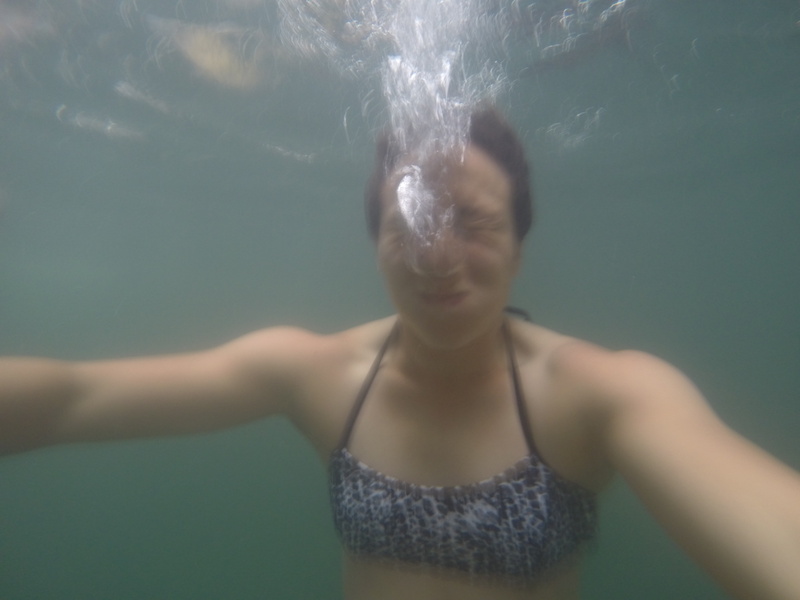 I have my GoPro on me and of course I was stupid and forgot to bring my attachment to attach it to my chest, so it was in my hand initially, but I was able to safely stow it in my bathing suit while I climbed up. When we got about halfway there I was wondering how we were going to get back because it was a bit difficult to get their. Then we got all the way around, standing at a cliff, I realized how we were going down. 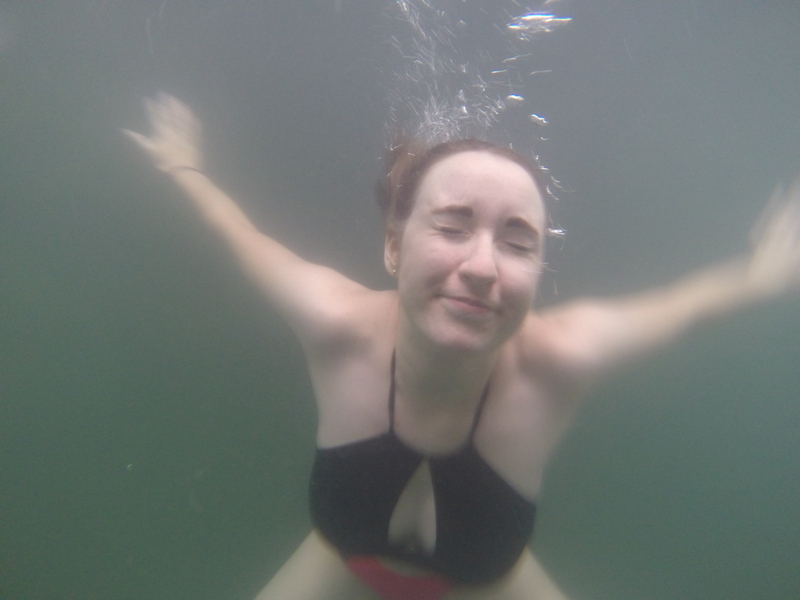 So I have a slight fear of heights, my legs get a little jiggly and my heart starts pounding, which is awesome cause I love the adrenaline rush but also…. 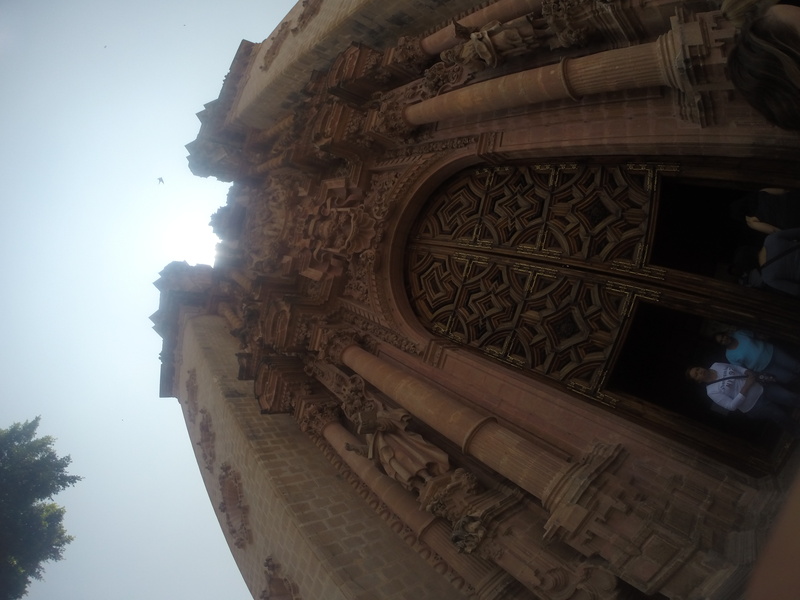 I had my GoPro in my hand!!! (Yes I’m dumb) But I definitely wasn’t backing out. I was the third to jump off which did not help my dire need to turn around and climb back down, especially because the girl in front of me took forever to jump which kind of pissed me off. So when I got to the edge I just jumped. 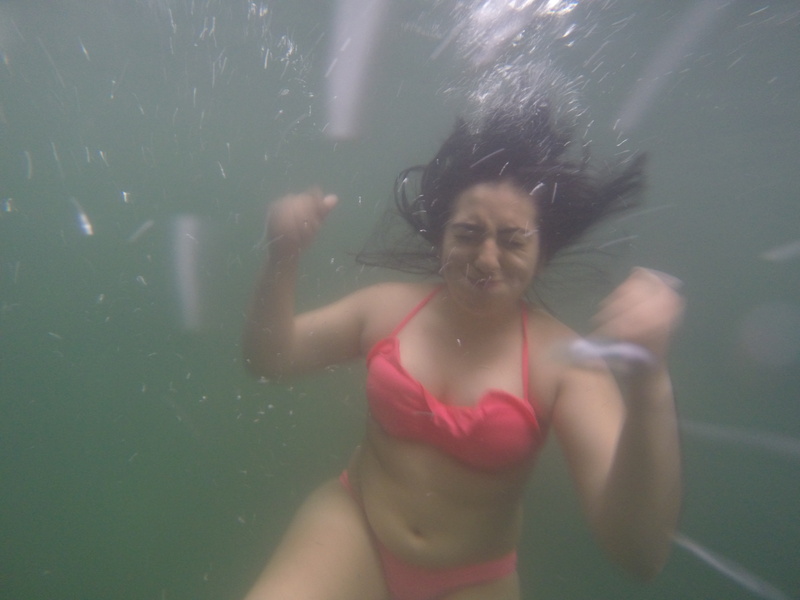 And the only thing going through my mind was I better not drop my GoPro. Yeah I’m ridiculous. That seems like a pretty far jump…. Then of course I had to play in the water with my toy and friends and the water was so pretty and I liked swimming in it. Did you know how hard it is to tread water in a group? She said she hated me when she initially started walking towards the slide, but she definitely enjoyed it.